Schurig Center in the News! 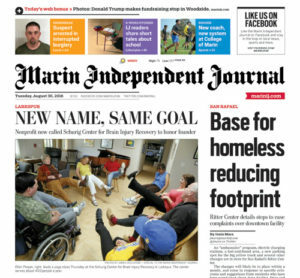 Schurig Center for Brain Injury Recovery’s name change, services and role in concussion education in the community was recently highlighted in a feature story on the cover of the August 30, 2016 edition of the Marin Independent Journal. Read the article online here or view a pdf here. The tomato plants in Schurig Center’s therapeutic garden are producing a bounty of fruit this year! 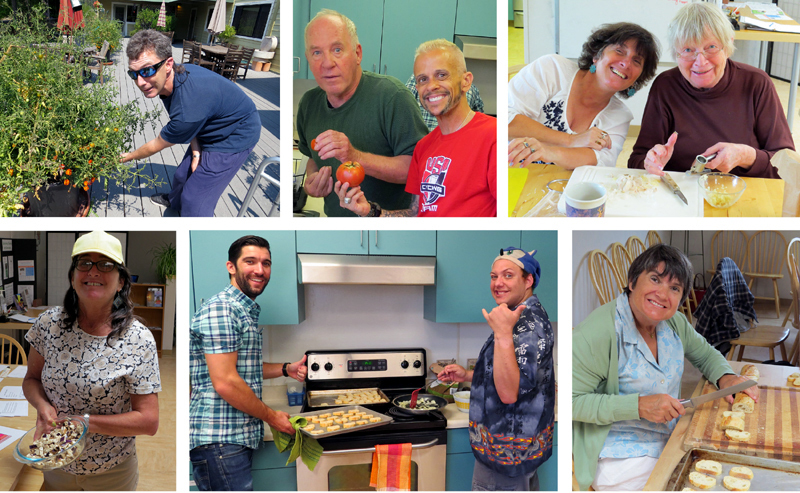 Today the participants in our therapeutic program harvested the basil and tomatoes from the garden and then prepared tomato mozzarella tarts and tomato basil bruschetta. Bellisimo! Once a month, Schurig Center participants don their chef hats and embark into a world filled with measuring, stirring, baking, cooking and tasting. In Life Skills Cooking Class, participants come together to learn and grow through the art of preparing delicious food while also rebuilding and strengthening cognitive and motor skills.